We couldn’t think of a better way to kick off the week than with a garden soiree that’s filled to the brim with simple and sweet details. Think blush pink florals, an outdoor ceremony, a gorgeous lace wedding gown, and a reception held under a tent for an almost al fresco style; all of which are perfect for a late summer wedding! Take a peek at all the love Ashton Kelley Photography captured below. It’s an oh-so-pretty gallery that’s too good to pass up! From Ashton Kelley Photography…Vivian and Aaron were married on a September evening at sunset. 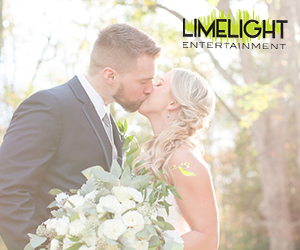 Surrounded by close friends and family, they exchanged vows at Elkridge Furnace Inn. Aaron recited his from memory, wowing guests with his romanticism. The pair danced the night away while sharing bites of cake. It was a party to be remembered! Gorgeous wedding, and so beautifully captured!! !